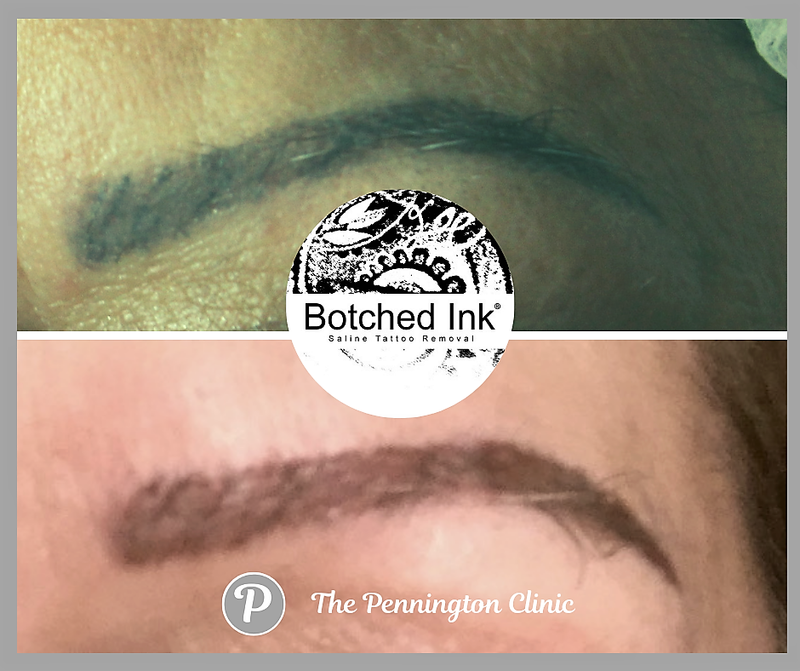 Botched Ink is an amazing colour lifting solution designed specifically for the removal of semi permanent makeup. Have you had a procedure that you hate, or have you had so many procedures that your skin is saturated in pigment? We can help! However, there are lots of factors to consider. How long ago did you have your procedure, where and who did it? Have you just had one or have you had lots of procedures. There are many variables, so a consultation may be best, but to give you an idea, we love this product for lifting colour from saturated brows. Traditionally, we have broken the skin and worked with salt and water to lift the pigment from the lower layers of your dermis. It works, but it can be slow and as you have to wait 8 weeks between each removal or colour lift procedure it seems to take an age! You still need to wait 8 weeks between each colour lift treatment, but “Botched Ink” solution has so much more in it that salt and saline and the results are faster, almost immediate depending on the age of your tattoo and the saturation in your skin. Your brow can look “warmer” almost immediately and the saturated look softens as your brow heals. It is often those that have experienced a rather heavy handed microblade procedure that benefit from this,the pigment is often implanted too deeply and looks a bit blue, or those (like me) who have had semi permanent makeup for so many years that their skin is saturated with colour particles. It is a slow process, you see the best results after 3 procedures and you need to wait 8 weeks between each procedure, but the results are exactly what we want! We charge this at £150 for the initial treatment and then £100 for every procedure after that. 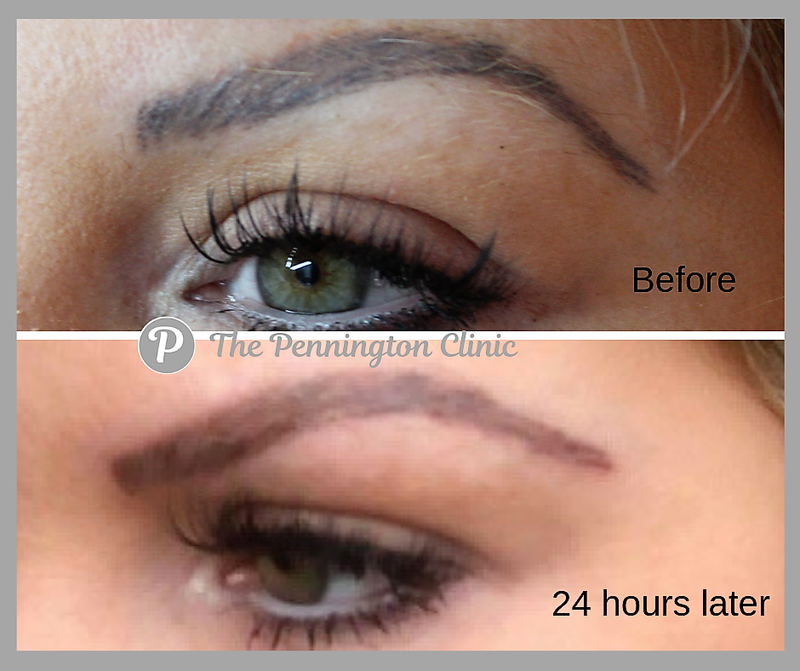 We really cant predict how many procedure it will take to lift and lighten your brows and total removal takes a while, but you will start to see a difference after the first treatment and it might be enough for us to then tattoo lovely new brows over the top. These pictures are before and after only one colour lift treatment. The pigment appears “warmer” and softer in both cases. Both these clients are returning for additional treatments.